One of my favourite mindless activities is browsing Facebook babywearing swaps to see what is out there. On one such occasion I came upon a fantastic deal on a package that included a size 6 Heartiness machine woven Ethno print red linen blend wrap. I jumped on the deal and was happy when it arrived from the lovely mama in British Columbia quickly. This wrap had a beautiful pattern of red, black, white, and cream colours. We received this wrap right around Christmas time, and I was happy to have it as a festive pattern over the holidays. This wrap was my first experience with Heartiness, and I found it quite comfortable. The tag stated the blend as 50% cotton and 50% linen, but Sling-O-Fest lists it as 100% linen. I am not certain which is correct, as it certainly felt like a lot of linen to me. The texture was a bit rough and grippy, but not in an unpleasant way. It came to me very well loved and broken in, so it wrapped very floppy and mouldable right away. I found it very supportive for both my two year old and 8 month old (at the time). In general, I have found that I am not a fan of linen for longer periods of wrapping, as I need something with a bit more bounce and cush. The loose weave of this wrap made up for the lack of bounce by providing a bit of cush on the shoulders (as cushy as linen can be in a machine woven anyway...). I could see how this blend would be prone to pulls, although I did not experience any myself while using it. Recommendation: This was a great work-horse wrap. I enjoyed this as one of my first comfortable forays into linen. 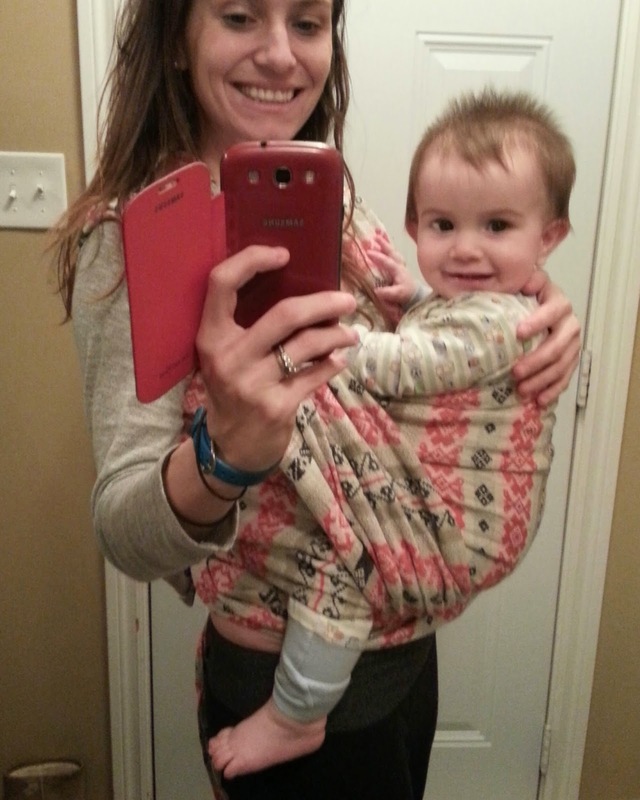 I would recommend this to anyone looking for a great all-around supportive wrap.